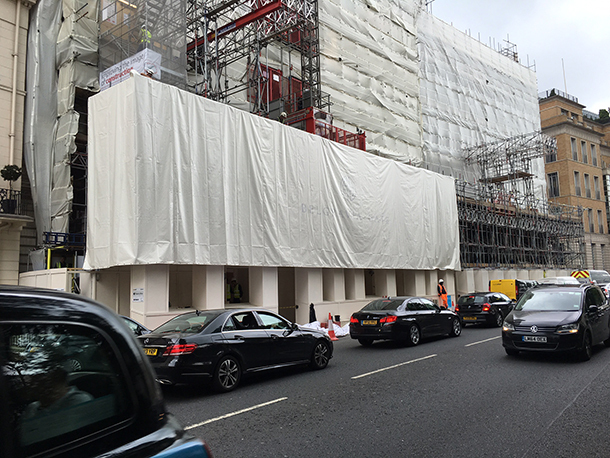 Lavastar managed, manufactured and installed the scaffolding wrap advertising at the prestigious Belgravia Gate development in Grosvenor Crescent. Printed on a 400gsm solid PVC the wrap was put in place to screen off an exposed scaffolding on the lower levels of the development. Our building wrap installers fitted the printed wrap onto a Kee Klamp system to give a smooth drum skin like finish to the front face and returns, the result, pure wow factor! 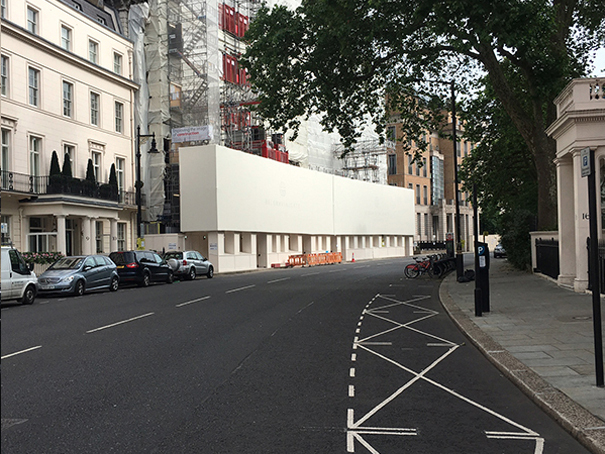 Not only will this 1200m2 scaffolding wrap reduce dust and noise pollution from the construction site but it will play a key role in marketing the project a gaining public awareness. The building wrap is one of many overlay improvements Lavastar are set to carry out to the exterior of the development. How Much Does A Building Wrap Cost?